FSL4R/ST calipers provide the pad wear performance advantages of differential bore pistons with the option for ultimate heat protection using Thermlock® pistons in the ST models. Differential piston bores compensate for leading-edge mechanical loading and temperature variances across the pad face to reduce pad taper wear in sustained high temperature applications. Thermlock® pistons in the ST models block heat transfer from the pads and reduce temperatures in the caliper, fluid, and seals by up to 25% over standard stainless steel pistons. 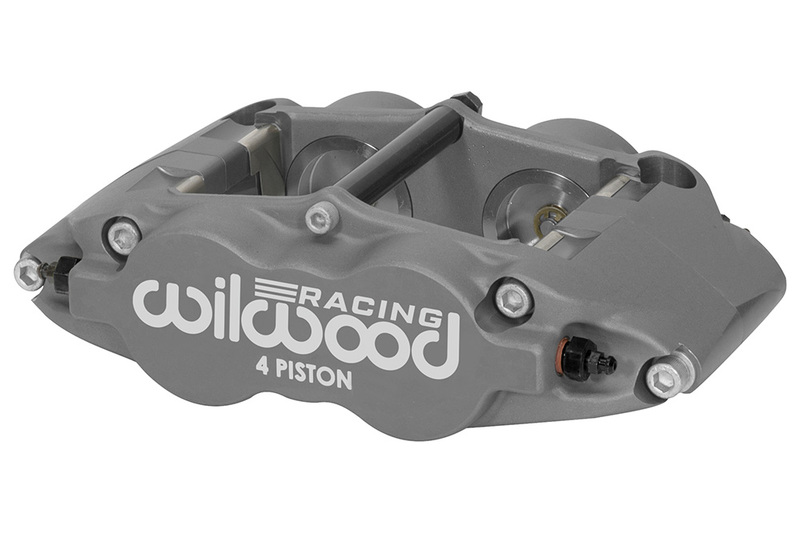 Featuring a wear resistant Type III hard anodize finish, these are the go-to calipers for all types sustained hard braking on dirt and asphalt ovals and a wide range of off-road, rally and road course applications. The FSL4R has been redesigned with internal fluid ports that eliminate the external fluid cross-over tubes. The transfer tube has been replaced with two additional bleed screw assemblies which allow differential bore models to have a left hand and right hand orientation, but no leading or trailing configuration is required. The most noteworthy feature of all the FSL4R caliper models is the exceptional strength and reduced weight of the forging. 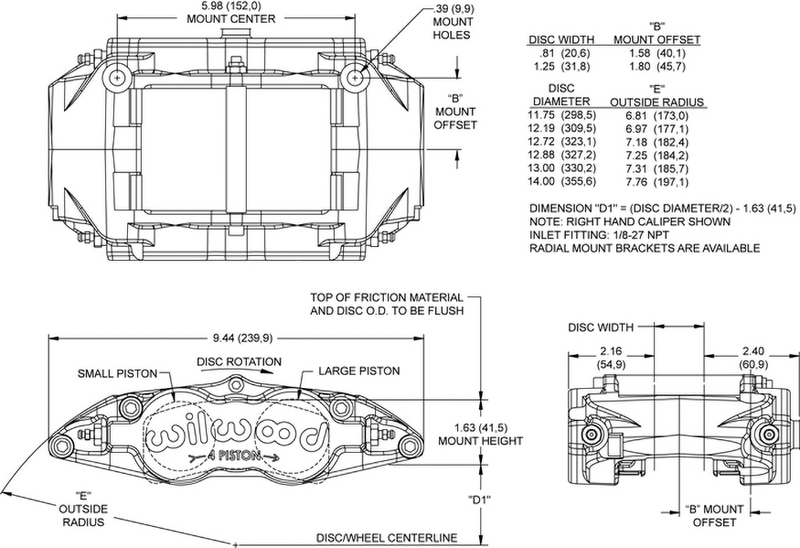 With assembled weights just at 4.4 pounds, the caliper body design in itself is a product of computer generated solid modeling and stress analysis technology. Each caliper features closed end bridges with a radial transition down to the main body and piston bore housings. The elimination of machined steps and sharp shoulders in this critical area provides a measurable increase in overall body strength and resistance to deflection under load. Every FSL6R body is stress-flow forged from a premium grade aluminum alloy billet.